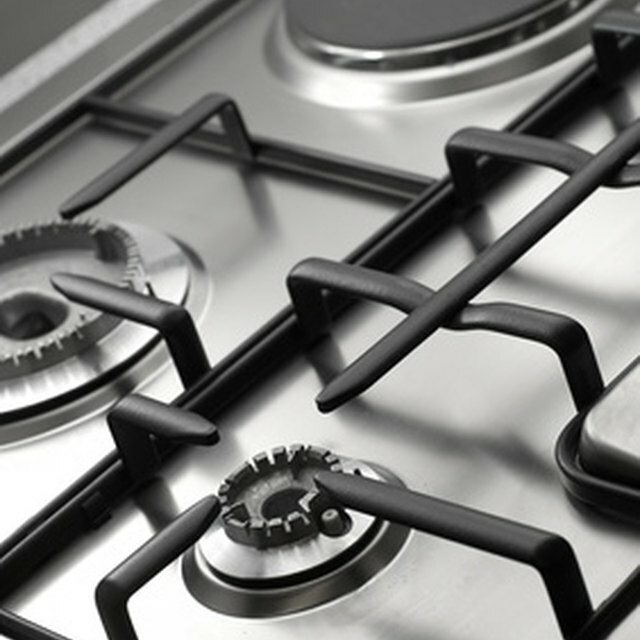 Cooktops have an advantage over a traditional electric or gas stove. These practical appliances free up space to accommodate additional cabinets and homeowners have the opportunity to install them on kitchen islands or on countertops. Review various types of cooktops and select the cooktop that suits your cooking needs. Cooktops are not connected to the oven. There are a variety of electric cooktops including coil, solid disk and radiant heating elements. Most electric cooktops have indicators for safety purposes that light up when the burner comes on. Radiant cooktops have heating elements underneath a flat smooth ceramic surface. A radiant cooktop makes it easier to clean the burner since the entire unit is flat. Unlike some stovetops, food spills can't fall under the burner. Additionally, pots or pans with flat bottoms work well with radiant cooktops since they sit directly on the burner. Halogen cooktops work with halogen bulbs. Similar to radiant cooktops, halogen cooktops have stylish ceramic surfaces. Additionally, this type of cooktop is available with hot-surface indicators to alert you of a hot surface. The heating elements of a halogen cooktop get hot within seconds of turning the unit on. You will notice that the cooktop is on when the heating element glows. Since the unit operates with a halogen bulb, the burner cools fast when you turn it off. Manufacturers make cooktops with a variety of features. Some cooktops have electronic touchpad controls that help you select the exact cooking temperature for your food. Other cooktops have wok or griddle units to accommodate stir-fry recipes or make pancake mix. Other models have simmer burners that work well for recipes that require simmering such as savory sauces. Which Stove Cooks Faster: Gas or Electric? What Is an Electric Skillet Used for?